Everybody Deserves A Second Go! An independent journalist, who has held senior, editorial positions with leading news banners -Times of India, Hindustan Times, Indian Express, Financial World, The Pioneer etc. These days, I run my own advertising agency from Mumbai by the name of Write Solutions (www.writesolutions.in). Here is a link to my book site - www.radhikasachdev.in, which has my contact details and Amazon link also. Here is a video link https://www.youtube.com/watch?v=Xa5YSTldZMs. that gives every detail on my campaign #LifeBank on voluntary organ donation from cadaveric sources. My hi-res image and the cover of my book, best the press release issued by the publisher are attached. Neeraj/Yola, can we send a few posters to Anjoo for display at the venue, if possible? 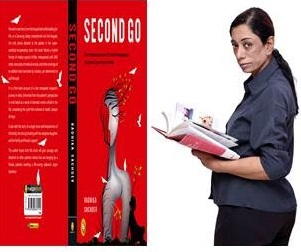 Second Go chronicles the story of Radhika Sachdev. A single mom and breadwinner of the family, her life takes a turn when she finds out that she had a tumour in her liver. But despite the gravity of her illness, Radhika stays strong and determined. Narrating a moving and inspiring story, here is a book that imbues hope and inspires courage through a real account of a liver transplant recipient. To know more about the author and the work, write to neeraj.chawla@uread.com or call at +91 9899127427. 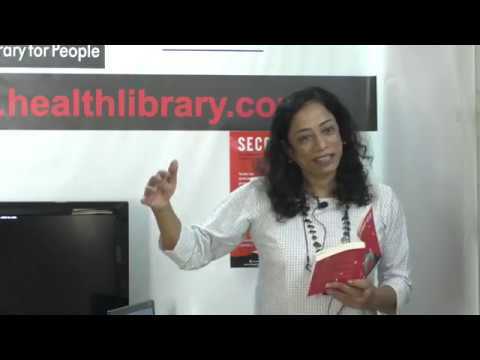 Radhika Sachdev is an independent journalist who has held senior editorial positions with leading news banners – the Times of India, Hindustan Times, Indian Express, Financial World, and The Pioneer. Presently, she runs her own advertising outfit, Write Solutions. An Imprint of Prakash Books India Pvt. Ltd.
Fingerprint! is one of India’s most dynamic publishing imprint, keen to publish quality books on a commercial scale. Owned by Prakash Books, which is one of India’s largest distributor of books and whose publishing cell has published some of India’s finest coffee-table books over the years, Fingerprint! was launched in January 2012 with the aim of publishing commercial fiction and non-fiction that’s priced affordably, packaged interestingly, and distributed as widely as possible, both as physical books and eBooks. Some of their recent releases include critically acclaimed Sriram Karri’s An Autobiography of a Mad Nation, Ratna Vira’s powerful book Daughter By Court Order, Ma Anand Sheela’s controversial memoir Don’t Kill Him!, top film critic Mayank Shekhar’s whacky yet insightful take on desis and popular culture Name Place Animal Thing and best-seller author Shubha Vilas’s Open-Eyed Meditation, a unique self-help book inspired from the ancient texts. Penned in real time, from the hospital bed while battling for life, on a Samsung Galaxy smartphone’s 4x2 inch keypad, the only device allowed to the patient in her supersanitized recuperating room, this book follows a hybrid format of medico-psycho thriller, interspersed with SMS chats, transcripts of medical records, and other workings of an addled mind overcome by sickness, yet determined to pull through. It is a first-hand account of a liver transplant recipient’s journey in India, chronicled from the patient’s perspective in vivid detail as a series of dramatic events unfold in her life, completing the cycle from sickness to health, despair to hope. It also tells the story of a single mom and breadwinner of the family, her strong bonding with her adoptive daughter, and her family and friends’ support. The author hopes that this book will give courage and direction to other patients whose lives are hanging by a thread, patients awaiting a life-saving cadaveric organ donation. I am woken up at 5.30 a.m. I brush my teeth, take a bath with the antiseptic gel and change into my new set of buttonless cotton tunic and pyjamas, hair tightly braided, as instructed. At 6.00 a.m. I am served my cold breakfast of two brown bread vegetable sandwiches and a weak milky tea. I have also been given my regular blood pressure and diabetes tabs. After this, I will consume no food or liquids until the next morning. The two invasive procedures are tentatively scheduled for 3.00 p.m. but I will be wheeled into the Operation Theatre at 11.00 a.m., so will be able to post my next dispatch tomorrow when I wake up from the impact of general anaesthesia. The two procedures, breast conservation and D&C will be done almost simultaneously by two different surgeons, Mandar Nadkarni and Maya Gade respectively, both members of my liver transplant surgeon Dr Vinay Kumaran’s multi-speciality team. The actual course of action, I am given to understand, would be decided in the OT based on what the biopsy reveals and my consent for further procedures before giving me the general anaesthesia, or later, my family’s consent. Till then, fingers crossed. The two biopsy results would be available to the waiting surgeons in half an hour, at the earliest. Ideally a patient with a decompensated liver is not able to tolerate general anaesthesia. "That’s my worry but we don’t have an option,” my concerned pathologist Dr Gaurav Mehta tells me. Whatever be the outcome I am picking very good vibes from my doctors here, and that’s a big plus. Everything has been timed and tied to perfection. Nothing can go wrong, so chin up, my family tells me. While I write this, I am waiting for the call from the OT. But before that I must make one phone call to a new client who wants to negotiate prices before signing the contract. I must have the deal in my bag before my procedures. Business as usual. Join our community on Google+, Content Rules.